Adults aren’t the only ones who have trouble falling asleep; kids have trouble sleeping too! Lake Forrest Prep, an Orlando private school, has tips to help you fight the bedtime battle and make bedtime a relaxing experience. If it’s a bedtime tip you know you should be doing yourself, you should definitely enforce it for your kids. The blue light of electronics can disrupt our body’s production of melatonin, the hormone that helps us fall asleep. That “one more episode” mentality is actually so disruptive that it can keep your child up for an extra two hours. Put electronics away at least one to two hours before bed. When it comes time to sleep, make sure the iPad is put away, the phone is on mute, and the TV is off. Children need between 9 and 11 hours of sleep each night, and between homework, soccer practice, and arts and crafts club, it can be hard to fit that in. Set an individualized bedtime for each of your children that works with their natural sleep schedule. If you have a child who is a night owl, work with that by setting a later bedtime. If you have an early bird, make sure they’re tucked in early. When it comes time to wake up, you need to be just as strict. Aim for a wake-up time 9 to 11 hours after they went to bed. Most importantly, make sure you stick to this schedule — even on the weekends. 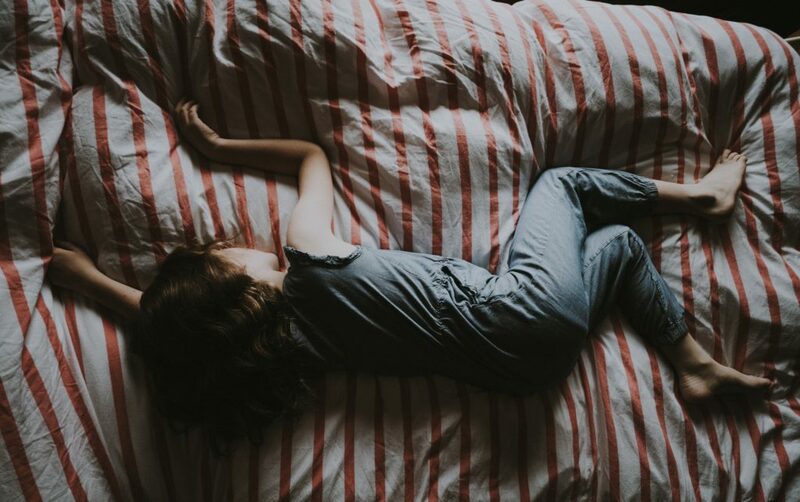 While a lot of us think we can make up for lost hours on the weekend, those extra hours of sleep affect your child (and you) like jet-lag, messing up your bedtime routine. You need to be comfortable to fall asleep. Make sure your child’s sheets are clean and that their room is dark and a comfortable temperature. Their room should be clean; a cluttered room can trigger excitatory sensory input, making it difficult to fall asleep. If your child has fears, acknowledge them. By ignoring them, they’ll be too scared to fall asleep. If they’re scared of the dark, get a nightlight to make them feel safe. If they’re scared of the monster in the closet, make a “monster spray” that they can help you spray each night. A good night’s sleep leads to a productive day at their Orlando private school. At Lake Forrest Prep, our teachers work to prepare your child for the future. To schedule a tour, contact us online or give us a call at 407-331-5144.